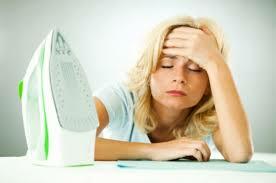 The truth about ironing is that no one wants to spend a night doing it. It’s time-consuming, boring, and never seems to be finished. In short, it’s a lot of effort for little result. So it’s high time you put that ironing board away and embraced efficiency. Helpling.ae, the leading online platform for booking cleaners, gives you top 5 tips to help you ditch that iron for good. 1. Use shower powerGet two things done at once, with no extra effort. A great solution for creases you only notice last-minute: simply hang the garment up in your bathroom, then take a shower. Within ten minutes, the steam will have got rid of the wrinkles, leaving you with crease-free clothing.Extra tip: This trick works even better if you shut the windows and doors in your bathroom, to keep the steam in. 2. A little water goes a long wayNoticed the clothes you want to wear tomorrow are creased? Grab your garment and spray a little water on the wrinkled patches. Hang it up for around an hour, and it’ll be crease free!Extra tip: Be careful not to soak your clothes - a light spritz will do. 3. Grab your straightenerOkay okay, it does seem a bit like ironing. But make no mistake - this is a much faster and more efficient way to get irritating wrinkles out of your favourite clothes. Is the collar of your blouse wrinkled? The cuffs of your shirt? The hem of your dress? Grab your straightening irons and straighten them out!Extra tip: Make sure your straighteners are clean. You don’t want to end up with hair product cooked into your clothes! 4. Use your mattressHere’s another reason to love your bed, as it can be also used to de-wrinkle your clothes. Roll the creased garment into a burrito and place it under your mattress. After an hour or so, your clothes will be crease-free and ready to wear! Smooth out any surface wrinkles when you roll up your clothes, so they don’t come out with more creases!Extra tip: Clean your mattress with natural ingredients first, to avoid dust mites getting into your clothes.